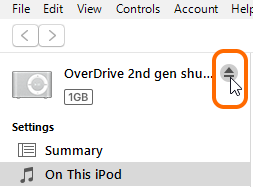 If you transferred audiobooks to your iPod using OverDrive for Windows or Mac, you can delete them manually from your device using iTunes. Note: Make sure you have the latest version of iTunes installed before trying these steps. Select the Device button near the top-left corner of iTunes. On the "Summary" screen, see if Manually manage music and videos is selected (under "Options"). If it is selected, continue to step 5. If it isn't selected, skip to the second set of instructions in this article to delete the audiobook from iTunes and sync your device to your iTunes library. Navigate to your audiobooks. 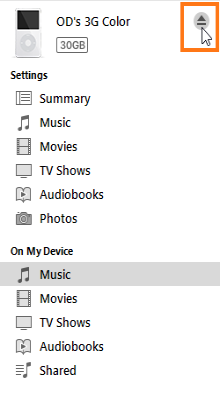 By default, they're stored in Music in the left-hand pane (under "On My Device"). Right-click (or control-click on a Mac) on the MP3 title(s) you want to delete, then select Delete from Library. Once you're done deleting titles, click the eject button next to your device's name to safely unplug it. Navigate to your audiobooks. 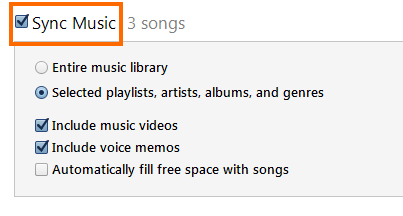 By default, they're stored in Music in the left-hand pane (under "Devices"). Right-click (or control-click on a Mac) on the audiobook you want to remove from your iTunes library, then select Delete from Library. In the left-hand pane, go to Settings > Music (or wherever you keep audiobooks). Ensure that Sync Music (or Sync Audiobooks) is selected. Click Sync. The audiobook should be removed from your device. Once you're done, click the eject button next to your device's name to safely unplug it. Connect your iPod shuffle to your computer. Go to On This iPod in the left-hand pane. Select the audiobook you want to remove, then press Delete or Backspace on your keyboard. 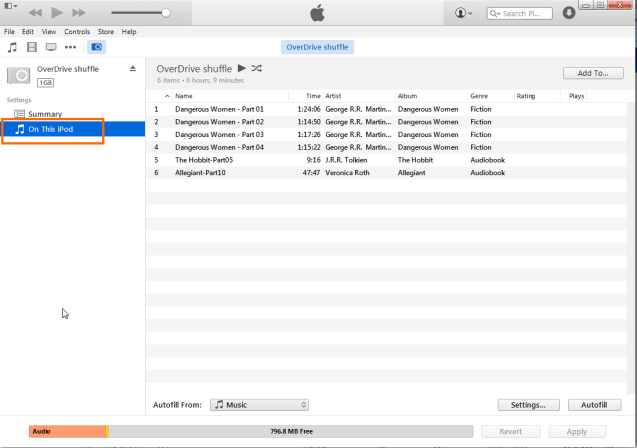 Note: Removing an audiobook from your device won't remove it from your iTunes library.